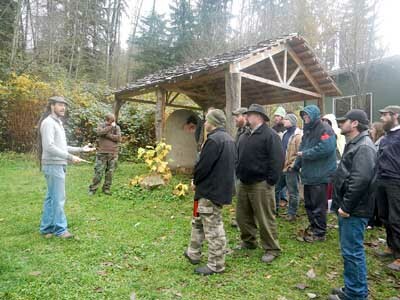 For weeks 8 and 9 of the Alderleaf Wilderness Certification Program, students began their permaculture training and also spent a week learning how to make stone tools, from making basic basalt blades to flint-knapping obsidian into arrowheads. 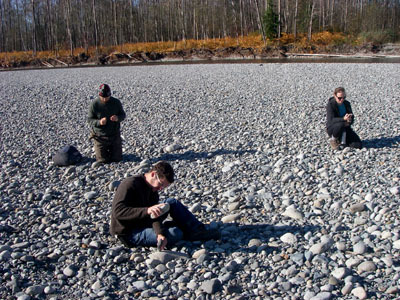 Week 8 began with students visiting a nearby river bar on Tuesday to practice their hand at making basic stone tools. They learned about which stones are best and several ways of breaking rocks into pieces with usable edges. 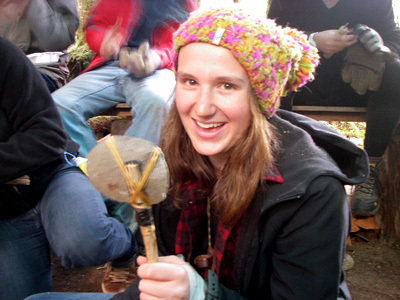 Then students learned how to attach the stone blades to handles using cordage material and pitch glue. These tools can then be used for cutting, scraping or chopping depending on their size, shape and thickness. Wednesday, students worked on finer grained material to learn how to knap stone using percussion and pressure flaking. They started practicing on glass to learn the fundamentals of flint-knapping. On Thursday students got to work with obsidian, a volcanic rock that can make incredibly sharp blades. Most students went home with one or more arrowheads that they created themselves. During week 9 students were introduced to the principles and perspectives of permaculture, a design system for implementing sustainable living into any property. They started by learning how to look at a landscape and ask the right questions. Here students work with instructor Dave Boehnlein to look at the parts of the Alderleaf property through the lens of permaculture. 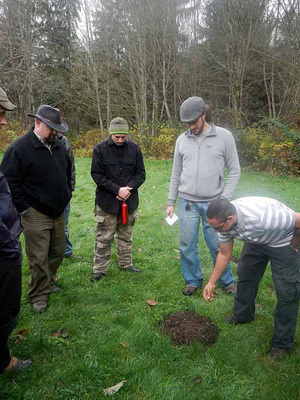 Dave points out how this mole hill has brought up soil from below and gives students like Damien an opportunity to look at the mound for more information about soil health and drainage. What is the content of the mound? Why was this mound found in that part particular part of the meadow and not in other parts? Questions like this allow a great deal to be gleaned through observations rooted in a deep understanding of ecology. Finally, students during this first week of permaculture course went to interview a real client they will be working with this year for their group permaculture design projects. The projects are focused on using permaculture principles and knowledge to design a property to match the needs and desires of the client in a sustainable way that works with nature. 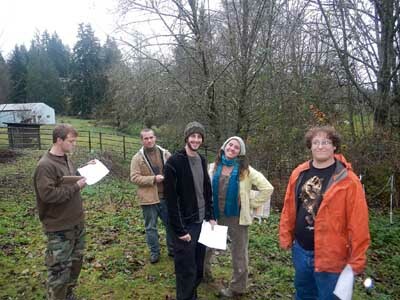 Once the students have done the initial assessment of the land - as seen in the photo above – they begin the work of gathering all possible relevant information to help them with creating the most effective permaculture design. This is exciting work, and a meaningful way to practice permaculture design in a real-world setting. Watch for updates about the progress of the students' permaculture learning later on in the school year!